How to avail 50% PhonePe discount on FoodPanda? How to Avail PhonePe Jio Rs. 10 Cashback Offer? How to avail PhonePe DTH Recharge offer? How to Avail the PhonePe Tata Sky Offer? How to Avail PhonePe UPI Cashback Offer? How to Avail PhonePe Movie Offer? How to Avail Jio PhonePe Recharge Offer? How to avail Swiggy PhonePe Offer? How to Avail the Cashback using PhonePe Uber Offer? With the introduction of e-wallet services, no one has to carry cash anymore. PhonePe is one of the easiest ways to make online payments and recharges. Not only this, users can save a huge on online orders and bill payments through PhonePe. Order food online from FoodPanda and make payment via PhonePe to earn an exciting cashback of Rs. 250. This amazing PhonePe FoodPanda offer is available for new and existing customers. In order to avail the discount, sign in to your FoodPanda app first. From the mentioned list, select the restaurant and items and add them to your cart. Proceed to checkout and select PhonePe as the online payment method. Users can make the online payment via Debit/Credit card, BHIM UPI, or e-wallet within the “PhonePe” option on the FoodPanda app. Using the FoodPanda PhonePe offer, users can avail cashback of up to Rs. 250. The cashback may vary between Rs. 10 and Rs. 250 as per the order value. The offer is applicable to all PhonePe users. Users can avail the cash back only when the order is placed via FoodPanda. The cashback amount will be credited to the user’s PhonePe wallet within 24 hours from the time of the successful transaction. PhonePe reserves the right to change/modify/alter the terms and conditions of the offer, without any prior notice or specific reason. Earn a flat cashback of Rs.10 on a prepaid recharge of Rs.149 on Jio. With Jio Rs.149 prepaid recharge plan, users will get 42 GB of 4G data for a period of 28 days; however, the daily usage of the Internet is limited to 1.5GB. Additionally, users will get 100 SMS for free along with unlimited local, STD, and roaming voice calls. In order to avail the discount, sign in to your PhonePe app first. Go to “Recharge and Pay Bills” section within the app. Enter the Jio prepaid number and then select Rs. 149 plan from the displayed list. Select “Recharge” option and make your payment. Earn a flat cashback of Rs.10 using PhonePe Jio offer. The PhonePe Jio Offer is valid only on Rs. 149 prepaid recharge plan. The offer is for one-time use only. Recharge your DTH connection using PhonePe e-wallet to earn a flat cashback of Rs. 80. The offer is applicable to the first DTH recharge done via PhonePe. Also, the minimum transaction should be Rs. 200 or above to avail the PhonePe DTH recharge offer. In order to avail the offer, go to the Dish TV website and select “Pay Bill/Recharge” section. Enter the relevant details of bill or recharge plan. At the checkout page, select PhonePe as the online payment option and complete the transaction. Earn up to Rs. 80 cash back on your first DTH recharge. Using the PhonePe DTH recharge offer, users can avail cashback of up to Rs. 80. The cashback may vary between Rs. 20 and Rs. 80 as per the order value. No coupon or promo code is required to avail the offer. 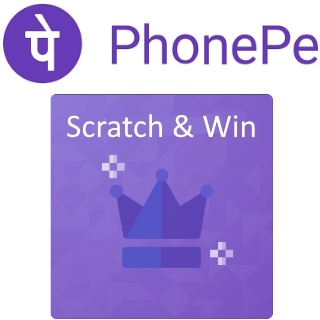 PhonePe is giving a chance to earn a cashback of Rs. 100 to all TATA Sky users. In order to avail the discount, users have to recharge their account with Rs. 400 or more. The offer is valid only for new users. Install the PhonePe app first and go to “Recharge and Bill Payment” section. Enter the Tata Sky account details. The maximum cashback amount that a user can avail using the offer is Rs. 100. The offer is for one-time use per registered mobile number/Tata Sky subscriber. On making money transfer via PhonePe UPI, you can earn up to Rs. 5,000 cashback. In order to avail the offer, you have to send or pay a minimum amount of Rs. 500 to 10 different PhonePe users. PhonePe will credit your account with a cashback of up to Rs. 1,000 on every alternate transaction/transfer. Therefore on every money transfer, you will earn an amazing cashback. Install the PhonePe app to your smartphone and sign up/login to your PhonePe account using the registered phone number. Link your bank account and verify the number. Select the payment option and enter your friend’s number linked to PhonePe account or select the contact from your phone’s list. Send a minimum amount of Rs. 500 to ten different PhonePe users. On every alternate transaction, PhonePe will credit your e-wallet with a cashback of up to Rs. 1,000. To avail the PhonePe UPI offer, users have to send a minimum amount of Rs. 500. The offer is valid only when the money transfer is made via UPI. Users can win up to Rs. 5,000 cashback on sending money to ten different PhonePe users. The offer is applicable only when the money is sent to a user who has a different PhonePe account and linked bank account. The offer can be availed only for one time during the offer period. The cashback amount will get credited to the user’s PhonePe wallet as voucher within 24 hours from the time of the transaction. Book PVR tickets via PhonePe to earn cashback up to Rs. 200. To avail the PhonePe movie offer, select the PhonePe e-wallet as the payment option. Go to the PVR cinemas website. From the given list, select the movie, show timings and seats. Make payment using PhonePe e-wallet and select “Complete your transaction” option. PhonePe cashback movie offer is applicable only to 2 transactions via PhonePe on the PVR online platform. On the first transaction, users will get 50% cash back, maximum up to Rs. 100, while the remaining balance will get credited on the second transaction. If you have a Jio prepaid number, select Rs. 398 or above plan to win a flat Rs. 25 cashback. With the Rs. 398 plan, users will get a daily Internet data of 3.5GB, 100 SMS/day, unlimited local, STD, and roaming calls, and the complimentary subscription to all Jio apps. During the offer period, users can enjoy cashback of Rs. 25 as many times. To recharge your Jio prepaid number, open the PhonePe app. Go to “Recharge and Pay bills” section and enter your Jio number. From the mentioned list, select Rs. 398 plan or above. Complete your transaction using a Credit card, Debit card, or net banking. Using PhonePe recharge offer, users will get a flat cashback of Rs. 25. To avail the offer, the transaction amount should be Rs. 398 or above. Use PhonePe to recharge any three different phone numbers and avail a cashback of Rs. 51. The offer is applicable to both postpaid and prepaid recharges. The minimum recharge or postpaid bill payment amount is Rs. 30. On the recharge of first mobile number, cashback of Rs. 1 will get credited to the user’s account. On the second phone number, 50% cashback (maximum up to Rs. 25) will get credited to the user’s account. On the third phone number, 50% cashback (maximum up to Rs. 25) will get credited to the user’s account. Users can earn the cash back only when all three recharges are done within the offer period. The cashback amount will be credited to the user’s PhonePe e-wallet within 24 hours from the time of the successful transaction. The offer is valid on all payment modes. Users can utilize the cash back to pay bills, recharge and make merchant transactions. The credited amount cannot be withdrawn to any linked bank account nor can be transferred to other users’ account. In case, the offer overlaps with any other offers running on the PhonePe platform, the offer with maximum benefits will be auto-applied. Earn a flat cashback of Rs. 50 on first three electricity bill payments via PhonePe. Get a cashback of Rs. 50 on first three electricity bill payments on the PhonePe platform. In order to avail the offer, the order value should be of Rs. 300 or above. The offer is valid once a month during the offer period. The cashback amount will be credited to the user’s account within one business day. The PhonePe bill payment offer is applicable to both iOS and Android devices. Order whatever you wish to eat from Swiggy and pay via PhonePe to earn 50% off, maximum up to Rs. 150. Don’t forget to use the PhonePe Swiggy promo code “PPENEWNOV” at the checkout page. Sign in to your Swiggy account and select food items that you want to eat. Choose “Apply Promo Code” option and use the code “PPENEWNOV” to avail the offer. Select PhonePe as the payment option and complete your transaction. Get 50% discount on your favourite food using Swiggy PhonePe Offer. The maximum discount that a user can avail using the offer is Rs. 150. The minimum transaction value should be of Rs. 99 or above. Make sure to use the promo code “PPENEWNOV” before initiating the payment. The offer is applicable only for new users on the Swiggy platform paid via PhonePe. Book your Uber and make payment via PhonePe to avail 20% discount on 2 rides. The maximum cashback that a user can avail through this offer is Rs. 100. Go to the Uber app/website to book your ride. Enter your pick up and drop locations. At the Payment section, section PhonePe UPI as the mode of payment. Make sure, you have linked your PhonePe VPA to Uber before making changes to payment settings. Confirm your booking and pay via PhonePe UPI after reaching your destination. Get up to 20% off, maximum up to Rs. 100, on the first two transactions via PhonePe on Uber. The minimum transaction value should be of Rs. 10. The maximum cashback that a user can avail during each ride is Rs. 50. In order to avail the offer, you have to link your PhonePe UPI to Uber before making the transaction. The offer is applicable only on first two Uber ride paid via PhonePe UPI.